Today I failed blogging 101 by going out on a Sydney food adventure without my camera. Sigh. And what loveliness there was to photograph. We'll have to make do with snaps from my phone. Nevertheless, we were up early to get to the Eveleigh Farmers Markets by 8:30 to beat the rush. First stop, croque madames at Bird Cow Fish. Divine. 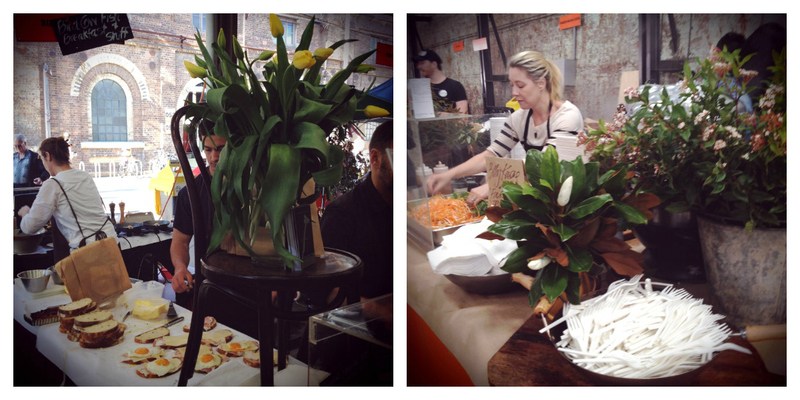 After demolishing those it was off to Kylie Kwong's stall to eat pancakes filled with omelette and crunchy vegetables and a side of steamed pork buns. Another sigh. So tasty. Coffee, bread, butter and purslane purchases later, we finished with a fruity freshpop - salty watermelon for me and rose and raspberry for the peeps. So good. Then we made tracks to The Grounds, along with a good proportion of the Sydney population. Oh my. That place was busy. And I can see why. Utterly gorgeous grounds and gardens served with amazing coffee. An irresistible combination it seems. We hit the highway home with our bellies full of deliciousness, and even considered for a moment moving back to Sydney...then we got stuck in traffic and came to our senses. So, that's my Sydney food mission accomplished. I loved every mouthful. 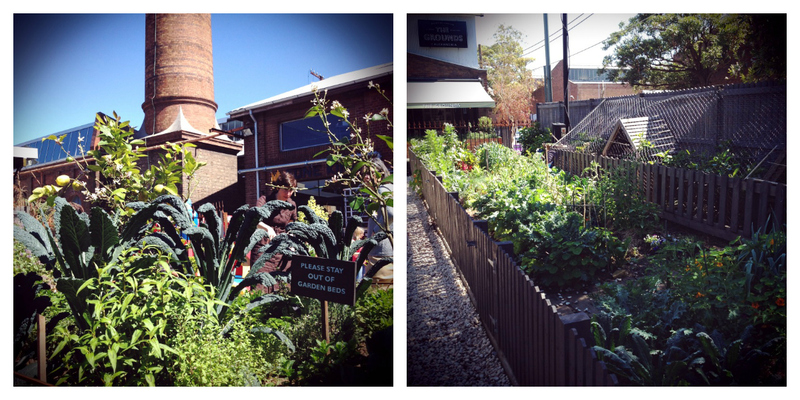 The produce and cafes always make me look back occasionally to life in London too. And Sydney for that matter. But like you, there's no way I'd swap all this space and colour for city life again. 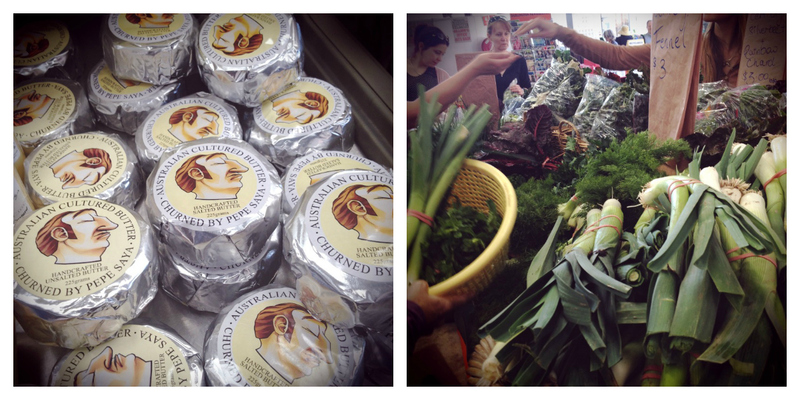 But I can't say I don't miss decent cheese and proper food markets! Just lovely, I am having serious market envy. Wow! Even though you forgot your camera, the photo's you did get still look great. I'm going to have to make it my mission to go one year! Thank goodness for camera phones! 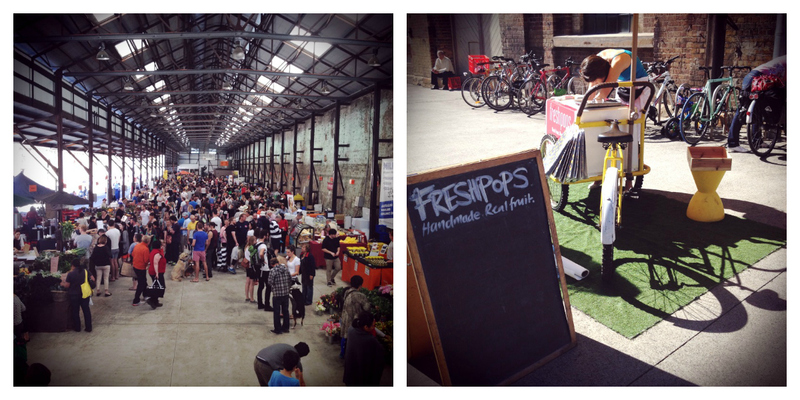 Eveleigh Markets are wonderful - love them. I am getting so lazy about getting the "real" camera out! But it sounds like you had a delicious time. I hope you were only joking about moving back to Sydney! 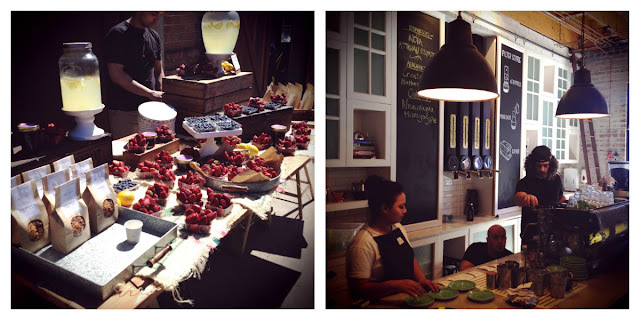 I went to visit Kitchen by Mike last Monday it was so good there yet food was expensive. ha ha ha. So sorry I missed seeing you this time. Hopefully we can visit Tassie this Christmas break. ps. I just saw your styling in the new issue of Feast Mag! sooooo good! Kitchen by Mike previous Monday it was so good present yet food was luxurious need online term paper writing! !